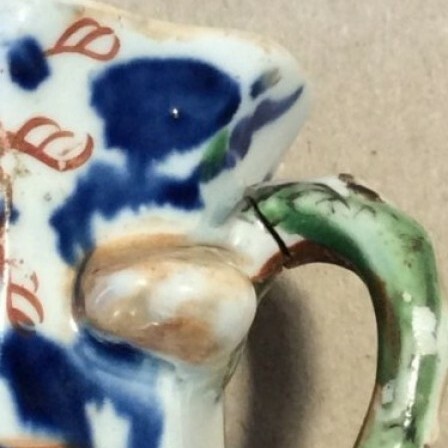 Description: Miniature Masons Ironstone Hydra jug with hand painted Japan pattern. 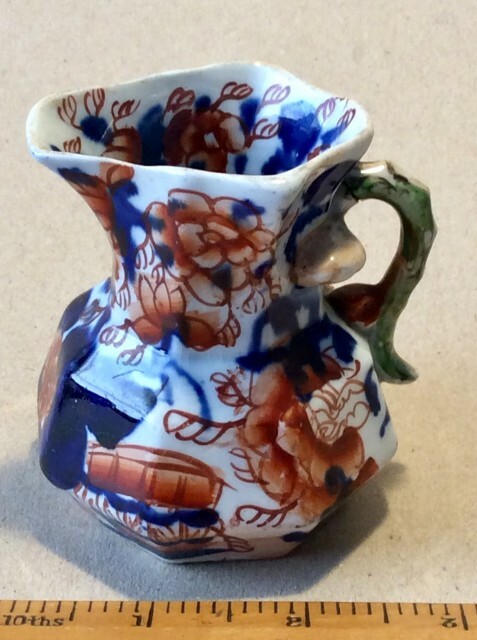 Hexagonal Fenton jug with Hydra handle. 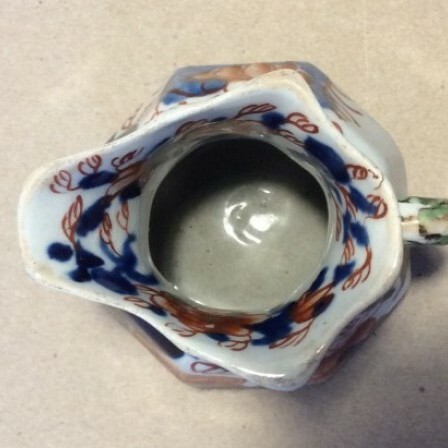 Underglaze blue with hand painted manganese detail. Firing crack to top of handle.